Mish’al was a more sophisticated attempt by El-Funoun at story-telling through music and dance. “Mish’al” was distinguished by its dramatic scenario and its logical flow of events, as well as its strong symbolism. The story emphasized love, determination, heroism and patriotism. A choir of outstanding vocalists narrated the events of the story which was taking place during the Ottoman period. 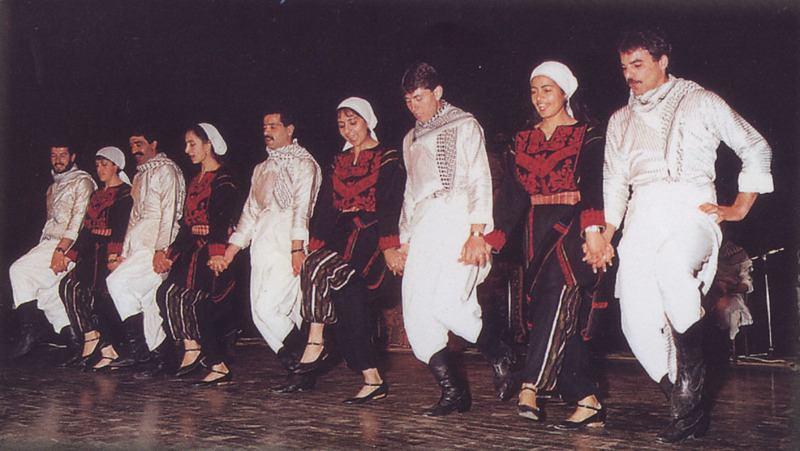 The music was based on authentic folkloric tunes that were re-arranged using musical instruments such as Oud and Nai. The music was was pre-recorded for the choir in view of the limited number of musicians at the time to play live music for each performance.